We celebrated our 75th anniversary with a set of special events on 25th May 2014. Founded in 1939 by local cycling enthusiasts, Diss Cycling Club organised two cycle rides, one 75 miles long and the other 75 kilometres long, to celebrate the milestone. 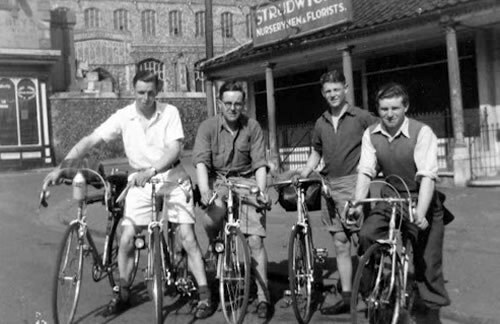 Some of the first club members in 1939 including Eric Madgett, second from the left, whose son Mick Madgett is still an active club member today and runs Madgetts Cycles in Diss. 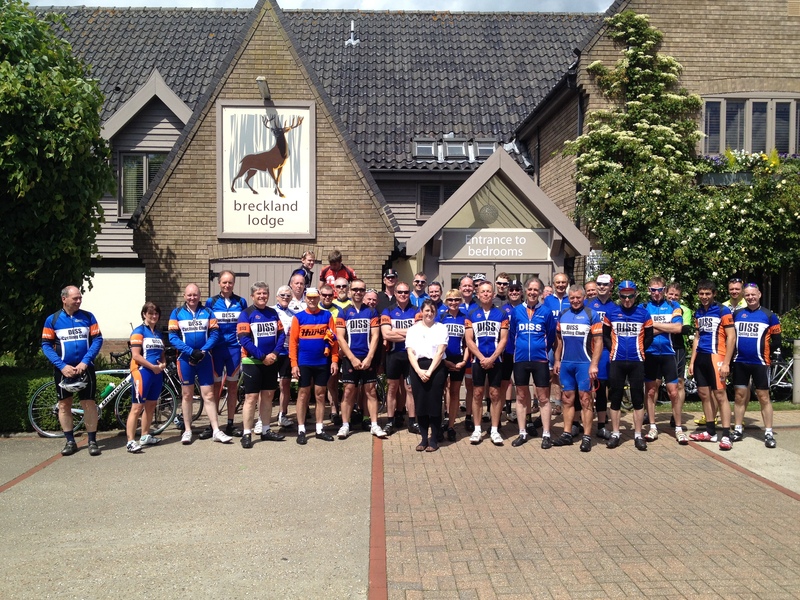 Club members at Breckland Lodge, the destination of the first ever club run in 1939. These days the club organises several social club runs each week and also participates in road racing, cyclocross and mountain bike racing locally and across the country. It has a rapidly growing membership and anyone who wants to find out more can find their website at http://www.disscc.com.